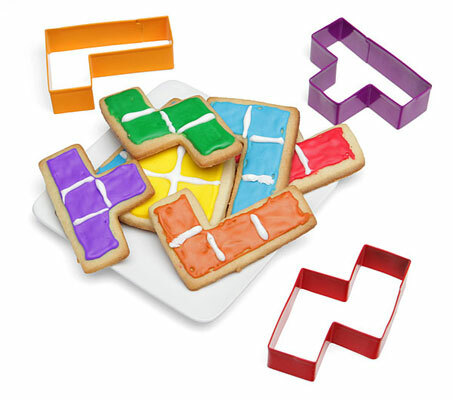 Food meets fun with these Tetris cookie cutters. Yes, you can recreate all the Tetris shapes as foodstuffs, courtesy of the seven cutters included in this set, all officially licensed of course. They are made of aluminium and are sold with both cookie and icing recipes included. So let’s get this straight. These are Tetris shaped biscuits that will be fun to make, fun to decorate and fun to eat – as well as a lot of fun if you want a super-sized game of Tetris on the table! If all of that sounds like a great way of spending a rainy Sunday, you can grab a set for $9.99.